10 Beauty Essentials To See You Through The Festive Season — This Is Carrt. Every year as Christmas approaches, I promise myself that I won't almost kill myself by socialising every night in the run up to the big day. Every year as Christmas approaches, I fail. In the past, I have found that continuing on like this, whilst working during the day, means if I am not careful, that by the time the 25th December arrives, my skin is grey, my hair is greasy at the roots and dry at the ends, and my nails are brittle. Luckily, I have built up an arsenal of beauty essentials that I turn to to either prevent or conceal such issues. Even more luckily for you, I have listed them here on my blog. I've separated them into two groups. One is to give you as good a base as possible. This then helps the second group, make up, to bring out your best bits and cover up the fact that you are on your 10th consecutive dinner out and still pulling a 60 hour working week. This cult classic has earned its reputation for good reason. It really does plump up lacklustre skin and gives it a glow even if underneath we feel like death warmed up. It also gives the face the perfect base for applying make up and doubles up as a primer which is perfect when we are running behind schedule in the morning due to an attack of the sticky pillow. Just a 5p piece is needed per application making it last a long time too. Unless I have the foresight to have gel nails professionally applied before the craziness of Christmas starts, (I never do), I always have a bottle of this on my desk as even clear coated nails make one look more put together than no polish at all. This gem has the added benefit of actually helping your nails stay strong whilst you deprive your body of water, sleep and any valuable nutrients usually ingested by a diet other than champagne, canapés and mince pies. This potent little potion really packs a punch even when using just the grain of rice sized amount that is needed. Dark circles literally disappear after you have patted this on around your eye socket, which is a must for any late night. Used over a week or so and fine lines start to fade making the whole eye area brighter and tighter. I started using Eve Lom as my daily cleanser a number of years ago now and have not looked back since. This is another cult product for good reason. Whilst expensive, a tiny amount of this product goes a hell of a long way, so that I have found it is actually cheaper than buying a face wash from St.Ives or Neutrogena. (I buy one of the 100ml pots every 10 months or so). It's great for this time of year too as you can leave it on for as long as you can when you have the time as a quick face mask to help replenish your skin with much needed hydration. The muslin cloth it comes with also really lifts any hidden dirt from your pores. Oh dry shampoo. Where would I be without you? Whilst I love washing my hair in the morning if I have had a night out with girls (please read drinking too much wine) to help clear my head, sometimes I just don't have time to do anything more than have a quick shower. 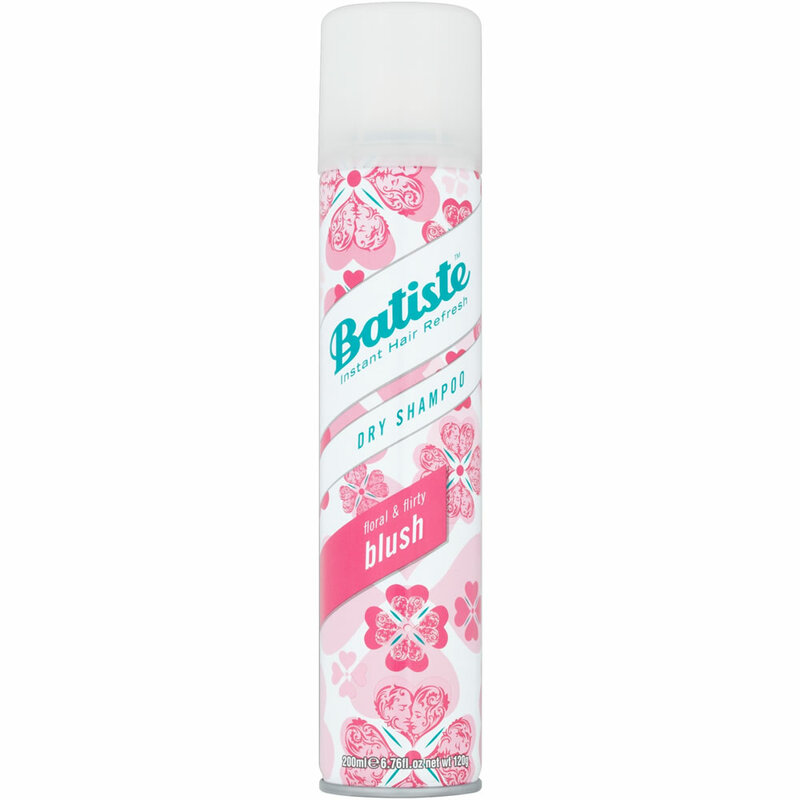 Step in Batiste, the best dry shampoo I have found and incredibly affordable too. I like to have a small handbag size in my desk for any last minute plans as Batiste not only soaks up lovely grease, it also gives back volume to hair to give it some extra zing. When your skin is starting to get dehydrated due to the lack of sleep and water, this tinted moisturiser is an absolute dream to apply. It glides on really easily (important due to decreased lack of ability at 7am in the morning on three hours of champagne induced sleep) and manages to cover a multitude of festive sins despite being incredibly sheer so you don't look caked in make up. It comes in loads of different colours, so make sure you get one that matches your sunless winter skin to prevent tide marks and a chin that is a completely different colour to your neck. Eyeliner can really help take one's day make up into the night if applied correctly. This one can even take one into the early mornings too given its long lasting formula. I know that some women find liquid eyeliner tricky to apply, but this gel formula is incredibly forgiving and can be built up from a gentle feline flick in the office, to full on glamour puss for after work celebratory cocktails. As a blonde, I like the slightly softer browns, but brunettes can go for classic black. Bobbi Brown's range is full of variances on these two colours, so if you have the time, go and have a play with them at a department store counter. This tiny pot will last a very, very long time. I discovered this mascara by a matter of chance and boredom in a duty free a number years ago and I have not wandered from it since. It has a gentle formula that lasts all day yet doesn't make eyelashes look spidery or stiff. Instead, the easy to apply formula leaves lashes looking thick and natural so they really open up even the sleepiest of eyes. I use the brown shade, but Chanel also offer this mascara with a waterproof option, though this only comes in black. However, it will really last the distance for when the office Christmas party goes on that little bit too long. This chic looking palette is small enough to fit into even a clutch bag and yet manages to fit a face powder, highlighter, bronzer and two colours of blush into one place making the price tag look a lot more affordable. Not to mention that every single one of these can make even the biggest party goer look like they have had 10 hours sleep every night for the last thirty years. The powders are all sheer so they don't clog up into any fine lines we may have, and their subtle sheen makes skin glow. They can also be built up and used to contour the face, should the alarm clock allow. I don't know about you, but even in my 30s I find red lipstick, that looks so chic on so many women, incredibly scary. This lip gloss is great alternative for wimps like me who a) have thin lips b) are terrible at applying lipstick successfully anyway. The glide on formula is perfect for women like me who never quite leave themselves enough time to be perfectly preened (often because the lure of fun is too great), but like to look put together nonetheless.